We all love the Glossbomb, I honestly don’t know 1 person who has tried it and doesn’t love it. I took a break from using lip glosses for literally years ( 2-3 ) and Fenty launched their gloss bomb and I didn’t believe the hype – but trust me when I say I started using gloss because of it. The original universal shade looks good on everyone, but because we all loved it we wanted to know if we were going to see new shades in the future. 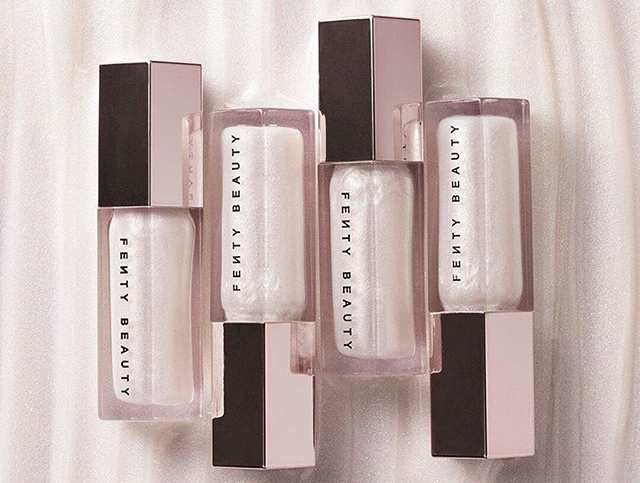 Diamond Milk is the same formula as the original, with a peach-vanilla scent and has a shimmery wash of pearl ( this is all information I got from their instagram ) and will be available on 9/7/18 and it retails for $18 on their website and at sephora. This entry was posted in Beauty, Makeup, News, Other and tagged beauty blogger, diamondmilk, font beauty, glossbomb, makeup, new font, new products. Bookmark the permalink.